SUDOSCAN evaluates sweat gland function, which can reflect the health of small nerve fibers. 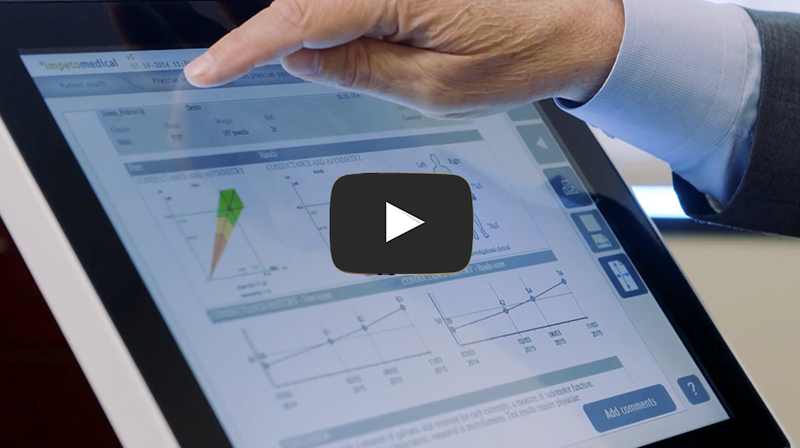 By testing sweat function, SUDOSCAN allows physicians to follow the health of these nerves to better personalize and monitor patient treatment plans. SUDOSCAN is a test that provides an accurate evaluation of sweat gland function. The test focuses on small nerve fibers that innervate the sweat glands. The degeneration of small nerve fibers reduces sweat gland innervation and impairs sudomotor function. SUDOSCAN measures the ability of the sweat glands to release chloride ions in response to an electrical stimulus on the palms of the hands and soles of the feet, areas with the highest sweat gland density. 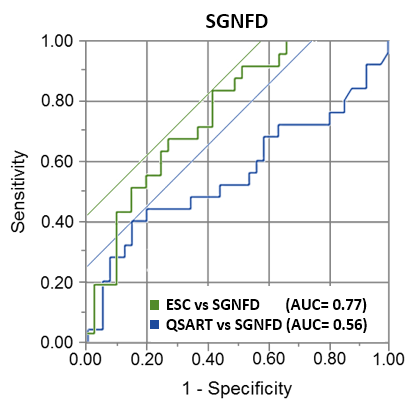 SUDOSCAN provides a quantitative measure of chloride conductance (measured in microsiemens, µS) and its results serve as a biomarker to assess sweat gland function. 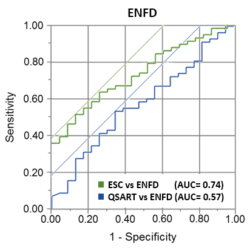 The test results can be used as indicators for patients at risk of autonomic dysfunction through the measurement of Electrochemical Skin Conductance (ESC). SUDOSCAN is a patented technology that evaluates sweat gland function, which is controlled by small nerves like some of those involved in pain sensation. The polarity of the stainless steel sensor plates is swapped during a scan to record individual right and left side conductance values. 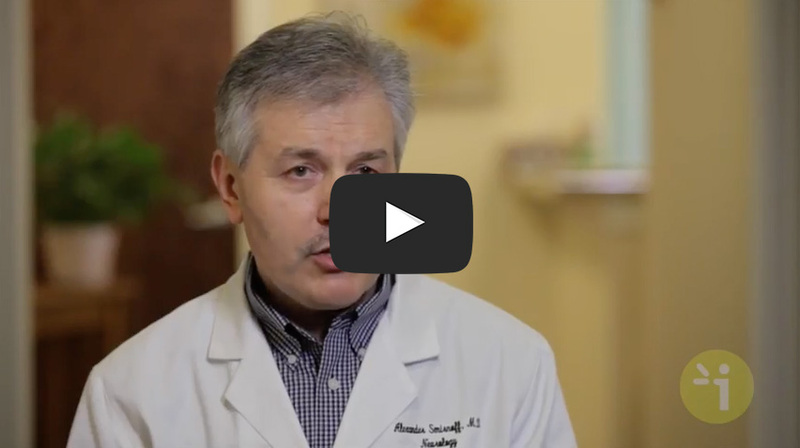 The amount of observed asymmetry can sometimes help the physician in determining a diagnosis. Small nerve fibers are the very first targets of diabetes. For a substantial number of patients, irreversible tissue damage (peripheral vascular disease, nephropathy, retinopathy, neuropathy) have already set in at the time of diagnosis . 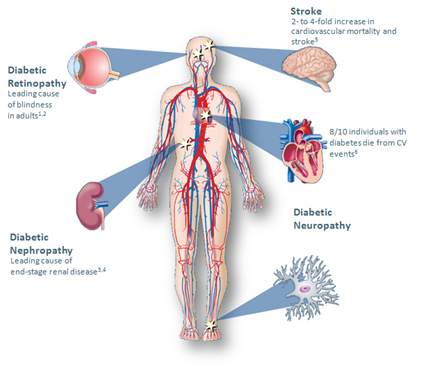 60-70% of patients with diabetes have neuropathies . Early identification of these complications, which may be asymptomatic in up to 50% of diabetic patients, has the potential to reduce or delay their complications with timely preventative treatment. The American Diabetes Association (ADA) mandates that all patients with diabetes be screened annually for peripheral and autonomic neuropathy. Simply Put: Less Invasive and More Reliable. 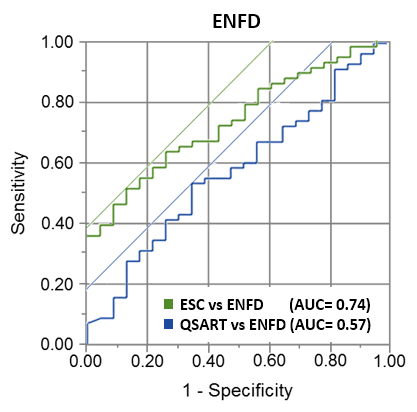 SUDOSCAN’s diagnostic performance (ESC) is comparable to ENFD/SGNFD and QSART in detecting Neuropathy. 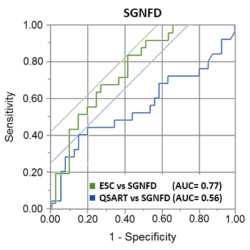 Vinik AI, Smith AG, Singleton JR, Callaghan B, Freedman B, Tuomilehto J, Bordier L, Bauduceau B, Roche F. Normative values for Electrochemical Skin Conductances and Impact of Ethnicity on Quantitative Assessment of Sudomotor Function. Diabetes Tech and Ther. England JD et al. Practice Parameter: evaluation of distal symmetric polyneuropathy: role of autonomic testing, nerve biopsy, and skin biopsy (an evidence-based review). Report of the American Academy of Neurology, American Association of Neuromuscular and Electrodiagnostic Medicine, and American Academy of Physical Medicine and Rehabilitation, Neurology. 2009 Jan 13;72(2):177-84.